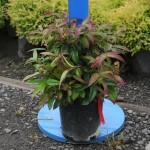 A slow growing compact shrub with glossy dark green foliage that is deep red when young. Blooms in spring are white, and resemble lily of the valley. The winter foliage color is deep burgundy. 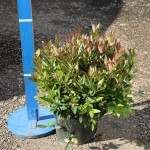 It needs part to full shade, and a moist, acidic well-drained soil. 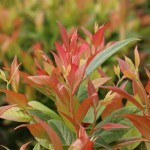 Use in the woodland garden, in a shady border, and in mass plantings.